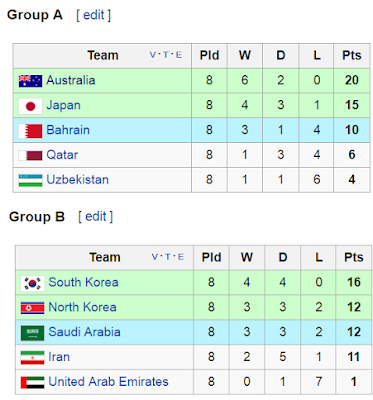 The Socceroos have a tough trip to Abu Dhabi on Tuesday 6 September 2016 (early Wednesday morning for us). 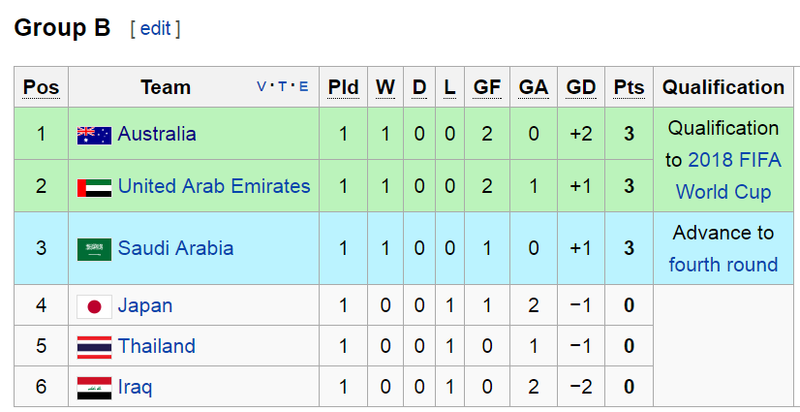 The United Arab Emirates are relatively strong opponents so this will be the Socceroos' first true test. However, this is only the beginning. 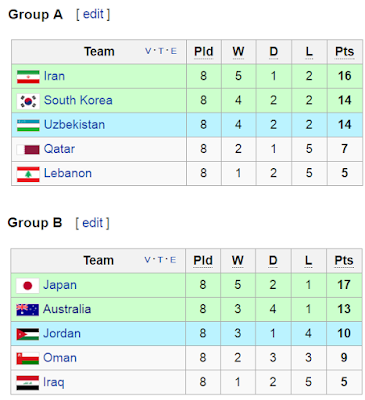 Australia play away in Jeddah, Saudi Arabia on 6 October 2016, followed by a home match against Japan on 11 October 2016. We know how difficult it is to play in the Middle East, in the 35 degree+ heat coupled with sandstorms and heatwaves aplenty (although in September it is admittedly cooler at about 31 degrees+). 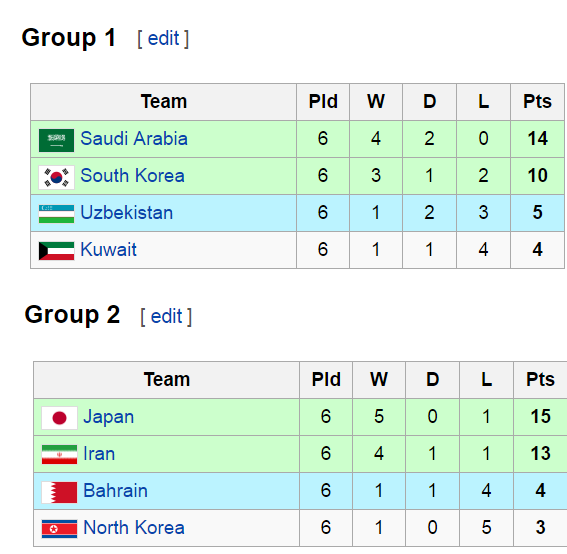 And we know how difficult the Japanese are, who in particular will be wanting to set the record right after their shock and controversial loss to the UAE. So this tough journey got me thinking. 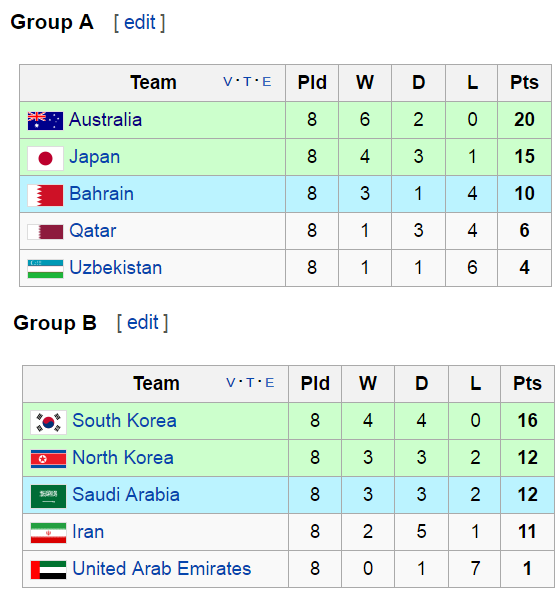 What is the rough number of points the Socceroos need to qualify for the World Cup? To answer this question, I travelled back through time to see what points were required in previous campaigns. The average tally required to make it to the top 2 in each group during the 2014 World Cup Qualifiers was 15 points [16 + 14 + 17 + 13 divided by 4] out of a possible 24 points. This equates to a percentage of 62.5%. The average tally required to make it to the top 2 in each group during the 2010 World Cup Qualifiers was 15.75 [20 + 15 + 16 + 12 divided by 4] out of a possible 24 points. This equates to a percentage of 65.625%. The average tally required to make it to the top 2 in each group during the 2006 World Cup Qualifiers was 13 [14 + 10 + 15 + 13 divided by 4] out of a possible 18 points. This equates to a percentage of 72%. 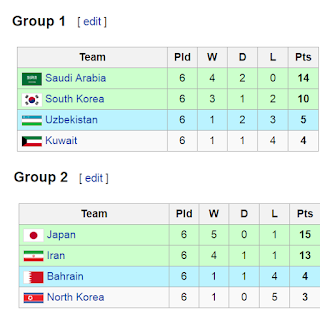 The 2002 qualification campaign was a bit strange because South Korea and Japan had already qualified, so only 2.5 teams were allowed through. 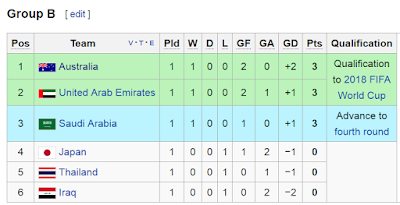 The 1998 qualification campaign was also different in that only 3.5 teams were allowed through. Because of those slight anomalies, I have not looked at those campaigns. I am also slightly lazy to look through the other pre-1998 campaigns, but I think you would find similar reasons for those campaigns. It therefore seems like the average percentage rate (points to maximum points ratio) required to qualify is (62.5+65.625+72) divided by 3 = 66.71%. Therefore, in this 2018 World Cup Qualification Campaign where there are 10 matches played in total, it seems to me that the Socceroos need a minimum of 66.7% of 30 points which is about 20 points. That's equivalent to 6 wins and 2 draws. On this analysis, if Australia can win all their home games, win 1 away game, and draw 2 other tough away games, they should be safe. However it seems to me that this analysis assumes that the weaker teams will capitulate. This is a tough group and it does not seem to me that there are any easy matches. In this climate, perhaps 6 wins - 18 points - will be barely enough.